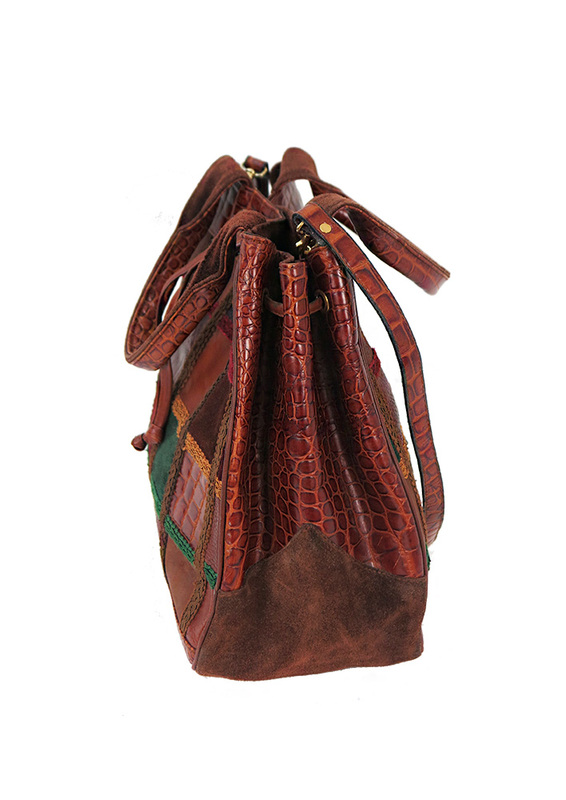 Tan leather drawstring bucket bag with design details a plenty! 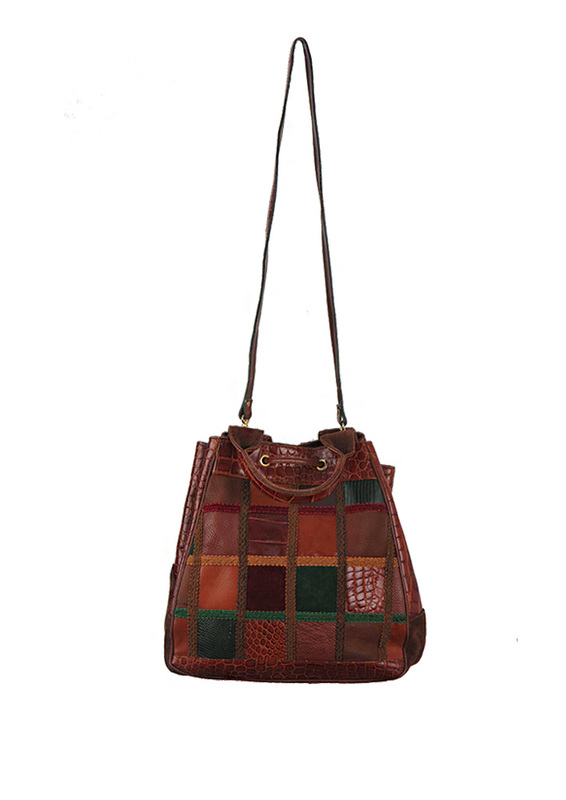 The front and back of the bag features a patchwork pattern consisting of burgundy, woodland green and tan suede & leather squares. 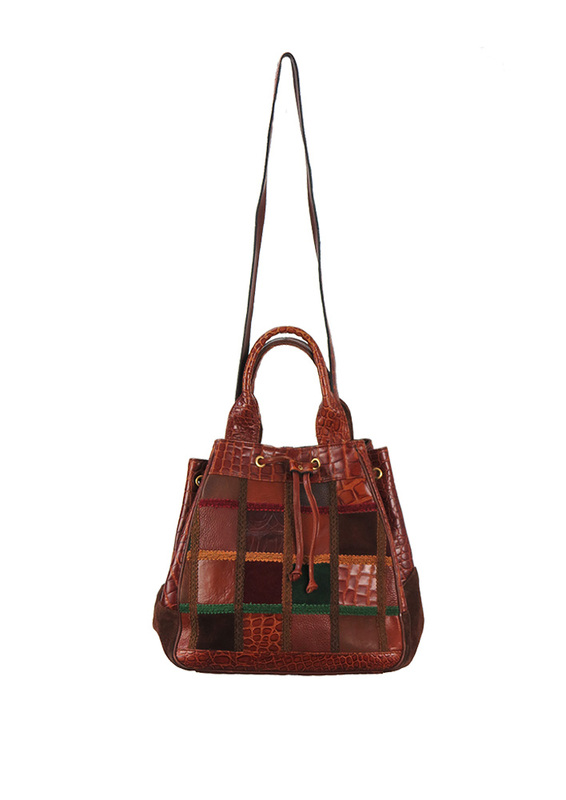 The bag is edged with a two tone textured leather with corners made up of brown suede which also forms the underside of the handles. 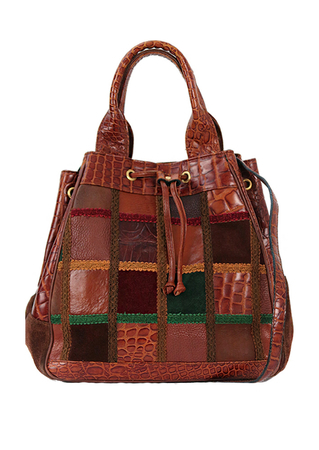 In addition to the handles, the bag has a shoulder strap that can be detached via gold clips. The bag is lined in a woodland green fabric and fastens with a magnetic popper and leather drawstrings. Oh and it’s also in great condition!